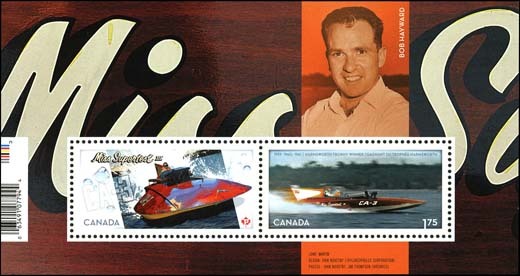 On August 8th, 2011, Canada Post began issuing a new stamp commemorating the 50 year anniversary of the winning of the Harmsworth Cup by the Miss Supertest III hydroplane. The Harmsworth Cup races were established by Mr. Alfred Harmsworth in 1902 in order to help develop motor launch racing. 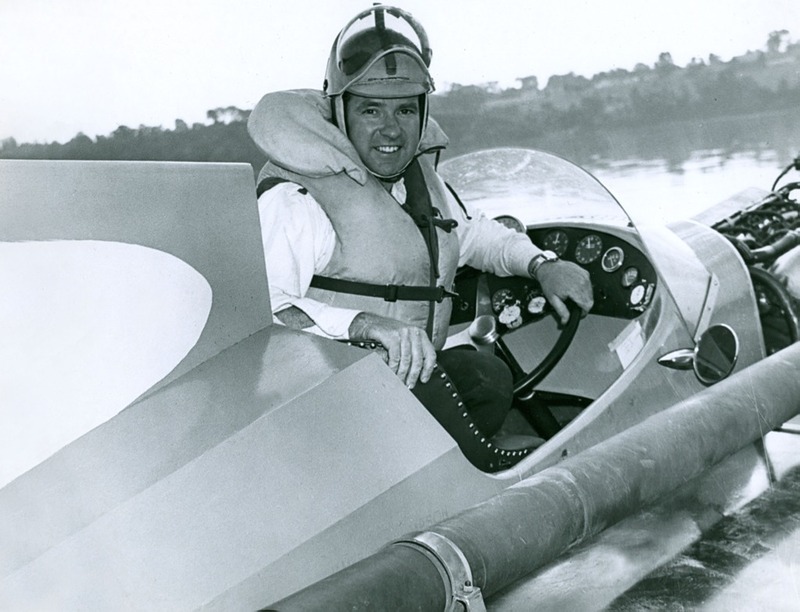 The hydroplane races were held between the months of June-October. From 1920-1956, the undefeated champions of the cup were racers from the USA. All of that was to change in 1959. Colonel Gordon Thompson and his son Jim entered the Miss Supertest III that year and proceeded to yank the Cup out of the hands of the Americans. Driven by Bob Hayward, a chicken farmer from Embro, Ontario, not only did Miss Supertest III win that year, but it also raced to victory in 1960 and 1961. It was the only boat to win the Harmsworth Cup three times in a row. Sadly, Bob Hayward died while racing the older Miss Supertest II a few weeks later. Tragically, the boat flipped during the Silver Cup Regatta on the Detroit River. A hydroplane is a motorboat with a special hull design that under high speeds enables the boat to plane over the water. The water forced downwards by the boat’s hull also exerts an opposite and upwards force which lifts most of the hull out of the water.